“Therefore shall each man forsake his mother and father, and cling to his wife, and they shall become one flesh. What is the value of books that teach us something we didn’t know these days? The common assumption is that the world is getting smaller with the connective power of the internet, but even more interesting than that phenomenon is the transformation in the accumulation and storing of knowledge in the modern age. About five years ago a friend whispered to me in a pub that smart phones were killing rambunctious pub-debate, primarily because any fact on any subject lay at everyone’s fingertips. What would be exciting about this, is if knowledge transformed itself into a societal / social application, and we talked more about how things affected us and our world, creating a greater consciousness of what might be going on around us. What would be sad to discover is that knowledge, though at our fingertips, is largely useless now that the storage of facts in our brain can’t be used as an ego boost on social occasions. “As you wish,” said Mrs Kaufman. Deference to a higher power was a life long habit. When information was not so easily at our fingertips, books like The Godfather and Gone with the Wind were able to become very popular without being very good, because they told us a story of a certain world that we could not learn about for ourselves on You Tube, Wikipedia and Google. Characters were used as vehicles for information – Tom Clancy has also built a successful career out of these sorts of books. She had not imagined that Avromi would be attracted to someone so different to him. Yet in many ways, their connection made sense. The girl was the antithesis of the frum prototype he was expected to marry and Avromi was her son after all. 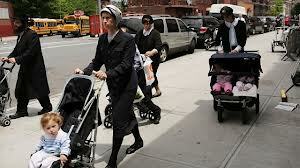 Had she not surprised and disappointed her parents by giving up her degree and choosing Chaim and a religious life? 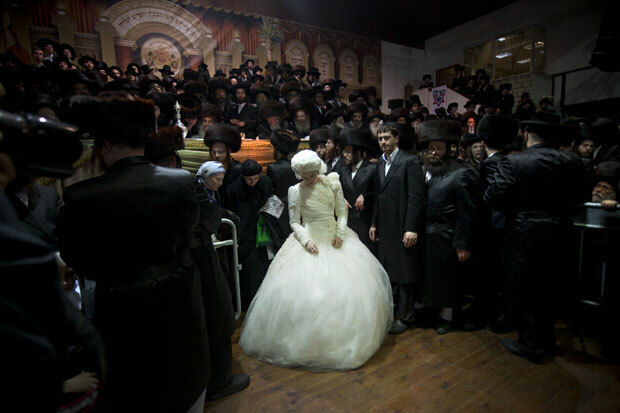 The Marrying of Chani Kaufman relies very heavily on an assumption that the reader won’t know anything, or much about orthodox Jewish communities, and while this may be accurate, Eve Harris has taken a bit of a gamble on the amount of folk who would find them fascinating but haven’t done any reading or research on the subject on the almighty internet as yet. I’m not sure how large that group is and I guess time will tell, but outside of the day-to-day workings of the community it references, there isn’t much substance to The Marrying of Chani Kaufman. One gets the feeling that Eve Harris wants us to be so shocked and spellbound by the community that we won’t want anything else. Again, this may well be accurate, but as a work of literature the book contributes nothing, particularly considering all the information given can be accessed at our fingers at any time. A case in point, as I was reading I googled anything I didn’t understand, or used links in the text off my e reader. It wasn’t’ till I got to the end of the book that I realized Harris had provided a glossary of terms, emphasizing the redundancy of this sort of writing. Around her the house ticked and creaked, the majority of its occupants unaware of the cooling of its timbers, the glugging of its pipes, yet each sound seemed to be amplified for Chani’s benefit. She thought of her mother and wondered if she had ever wished to live a different existence? Was she disappointed with her lot? The knowledge that her mother was unhappy filled Chani with habitual despondence. This comprehension was not sudden or new to her. All her life Chani had sensed her mothers growing misery. She used to smile, she even used to laugh. This would all be done away with and I would be a happy camper had Harris taken a position on a particular debate, idea or (my favorite) universal theme within the novel, but she shy’s away from all this, leaving us with a string of characters floating around in a narrative universe grounded by timeless facts. The obvious (and odious) question to ask would have been the one of the value of religious communities in this day and age, but I do think she addresses that lightly, in a way, through the inner world of the characters. 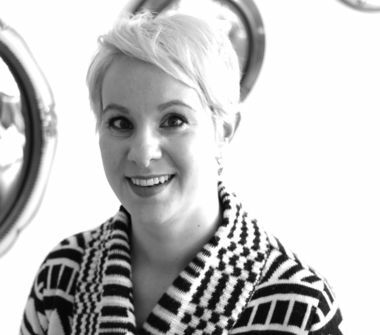 What she never reveals or invites us to consider are the bigger questions of self-sacrifice over self-development or the healing power of routine versus the numbing pain of deadening repetition. This is even more disappointing because her characters seem to scream these questions, but Harris ignores them repeatedly, not even leaving the reader in a position where they can make up their own mind. She floats along, telling the story and probably telling herself she is not being judgmental when really she is just avoiding an ikky subject. The book reminded me very much of Emma Donoghue’s Room (also listed for the Booker Prize, previously in 2010) in which enormous, important questions surrounding the book are “gently and sweetly ignored” by the writer. Immediately one thinks of Lot’s wife, the woman condemned to a pillar of salt because she looked back at the city of Sodom, the great symbol of evil and debauchery, a city so bad it was destroyed by God’s might coming down from heaven. Some interpretations of this biblical passage claim Lot’s wife was turned to salt because in looking back she longed for the debauchery she came from. Other interpretations claim any human that looked on the very person of God would be turned to salt. Sodom is a name that has been used to represent debauchery in many different forms and carries its own contemporary controversy. In this opening sentence, in just fourteen words these two powerful images are evoked. But immediately Harris flees from the power of this sentence when we find the wife is in fact a virgin who has only met her husband a few times. She can’t possibly be looking back at a debauched life, nor can she defying God when she is about to obey him against all her better instincts. Does it imply the fear of disobeying “HaShem”? The book portrays the god of these people as benevolent and caring, never as a creator who would turn a woman to a pillar of salt. The book is littered with these teasers that imply strong, powerful writing filled with exciting ideas, only to be followed by a bland sort of niceness that sweetens the seasoning away. How did other people live? Did they feel and think like her? What was it like to roam freely in the world and not have to think about your every action and its spiritual consequence? On her fathers side she had distant cousins in American who led secular lives. Her mind boggled at all the questions she would ask them if the opportunity arose. Outside of all the things the book is not, what is IS is an engaging read, nicely paced, of several characters interwoven stories seamlessly coming together in a traditional patchwork quilt that spans several ages. 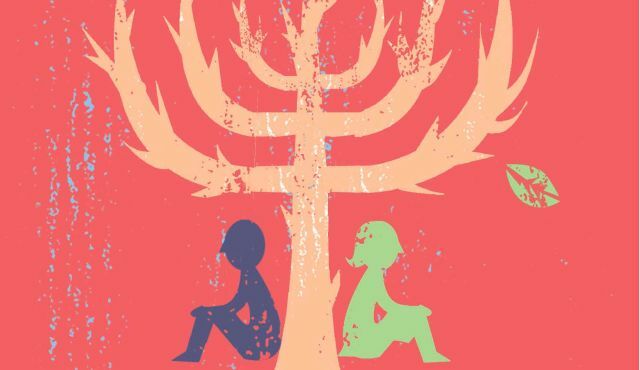 Chani Kaufman is a young virgin who we follow as she prepares for marriage to a man she does not know, guided by a woman who is at a crises point in her own faith. The two stories of these women, Chani and Rebecca who counsels her, will struggle with obedience and self acceptance. Both will question their behaviors and both will come to different conclusions about their future. Laced throughout these stories are the woven daily busy-ness of the orthodox Jewish community, its dysfunctions and its strengths. The Jewish community is portrayed sympathetically, if a little naively. The language style is pleasant and neat throughout except for the occasional moment when the authors afterthought imposes on the narrative, or when the style gets overly simplistic. It’s such a shame because the promise of what the book could be far outweighs the fulfillment of what the book is. My frustration must mirror Harris’ own. One feels her chains all the way through, her appropriateness, her good behavior. It’s my understanding that this a first novel, and therefore the excitement of what is possible from this writer exists inside me, but I hope she is able to get some courage and speak what is really on her mind, because there is no doubt it will be a fantastic read. 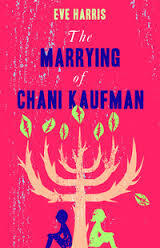 The Marrying of Chani Kaufman is available for sale here, and is currently long listed for The Man Booker Prize.